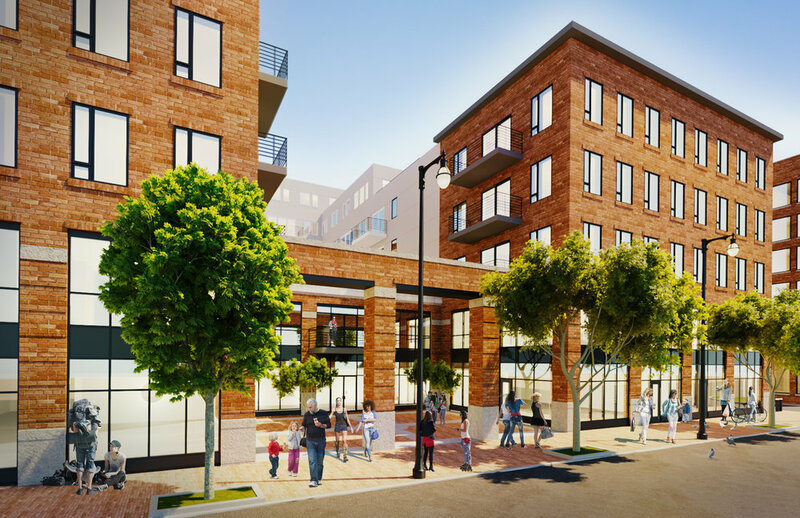 Hobson’s Landing is an 89 unit residential building planned for Commercial Street in Portland. 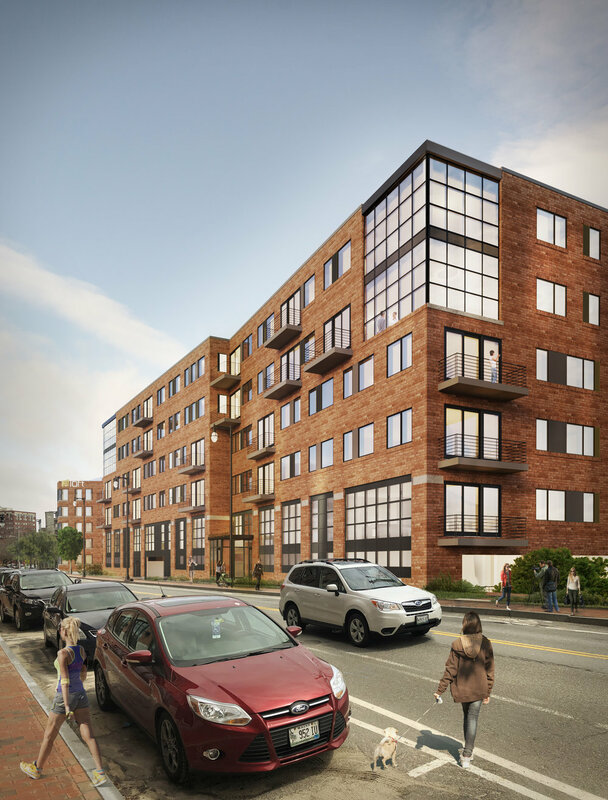 Occupying a portion of the former Rufus Deering Lumber Yard, this luxury condominium project includes a variety of contemporary amenities. We have worked hard to integrate this building into the surrounding city by breaking up the mass, providing public access through the site, and temporary surface parking for water front workers. 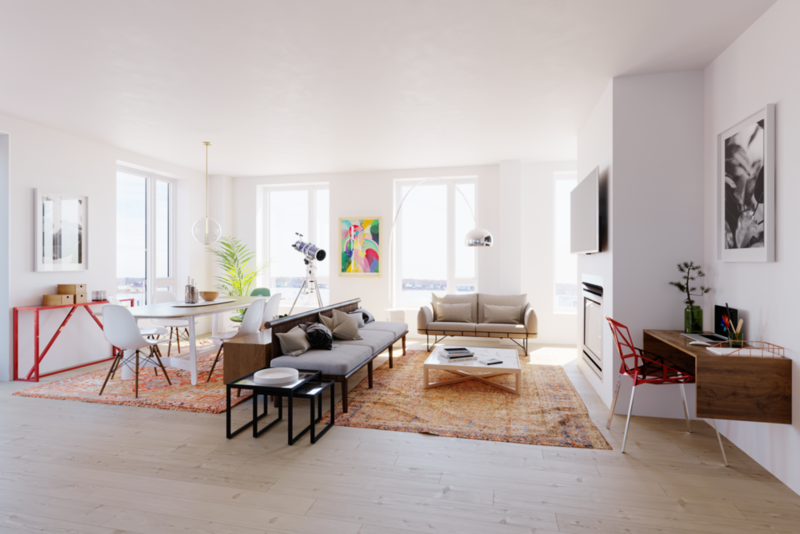 Hobson’s Landing incorporates of a variety of unit types and sizes, from one bedroom apartments to four bedroom penthouses. 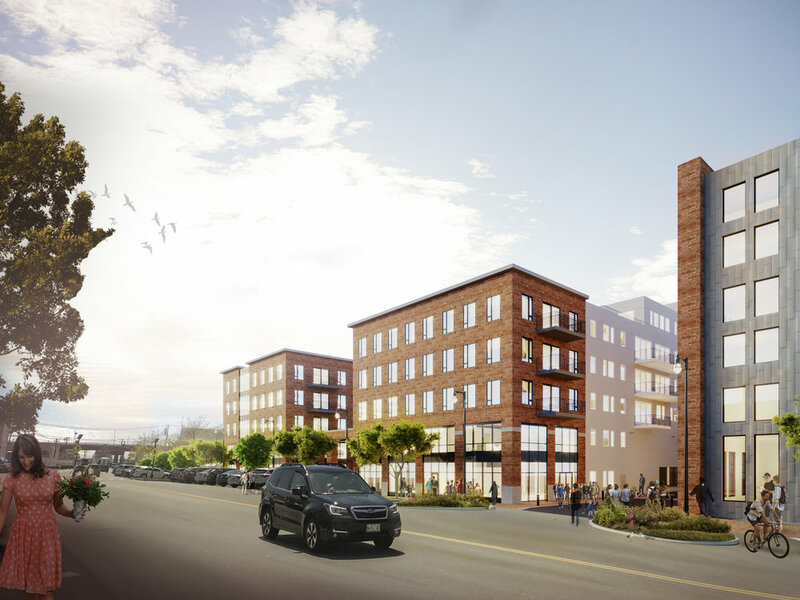 Units benefit from roof decks or balconies, thoughtfully designed kitchens and living spaces, large operable windows, gas fireplaces, and sweeping views of the Fore River and Portland’s skyline. 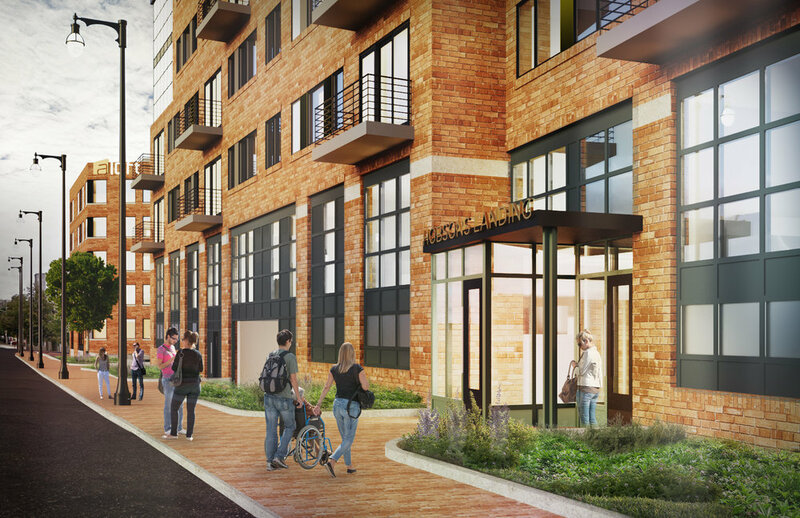 Shared amenities include well appointed lobby with on-site concierge, club room with fireside seating and large kitchen bar, fitness room with equipment and natural light, extra storage for each unit, bicycle storage, dog wash, covered secure on-site parking, and ground floor retail space.